Load a Natal chart and tap Secondary Progressions, and then tap Bi-Wheel. Select a year: 2017. Next tap the eclipse button/icon. 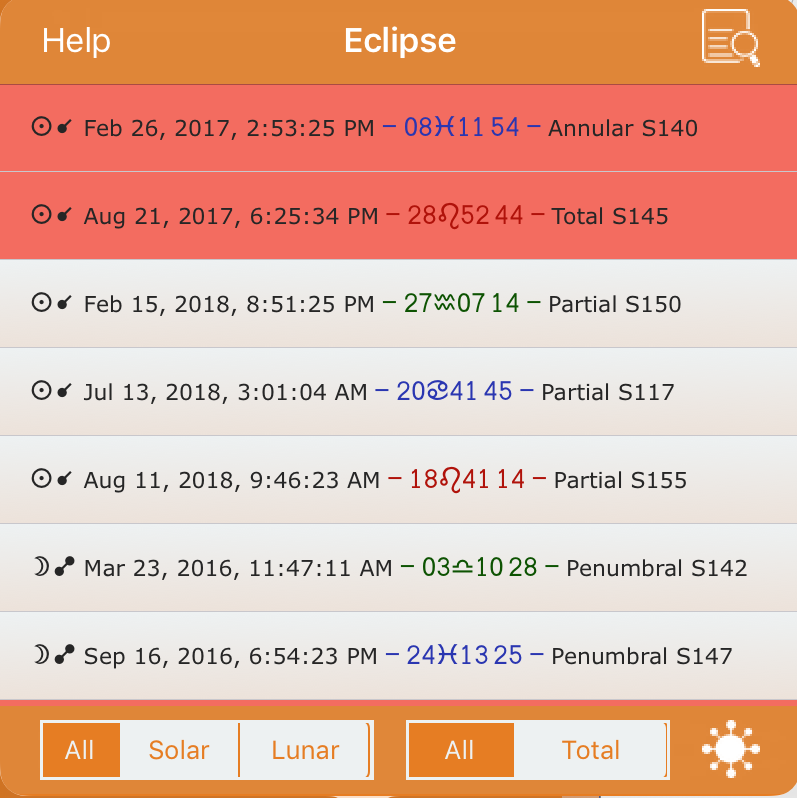 This allows AC to calculate the eclipses for 2017. Note all eclipse aspects are to the natal chart – the Eclipse listings will have a range approx 2016-2018. To see the aspects to the natal chart tap the Aspect button/icon. The eclipse predictions are given in both Terrestrial Dynamical Time (TD) and Universal Time (UT1). The parameter ΔT is used to convert between these two times (i.e., UT1 = TD – ΔT). Δ Thas a value of 68.5 seconds for this eclipse.